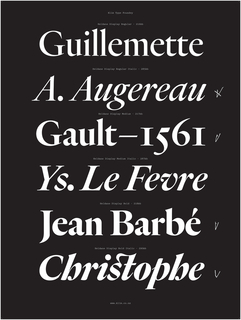 See more objects with the tag graphic design, black and white, typography, posters, event poster, text as image. This is a Poster. 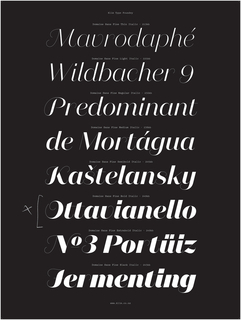 It was designed by Mark Gowing and made for (as the client) Preservation Music. It is dated 2011 and we acquired it in 2014. Its medium is laser plotter print on paper. It is a part of the Drawings, Prints, and Graphic Design department. 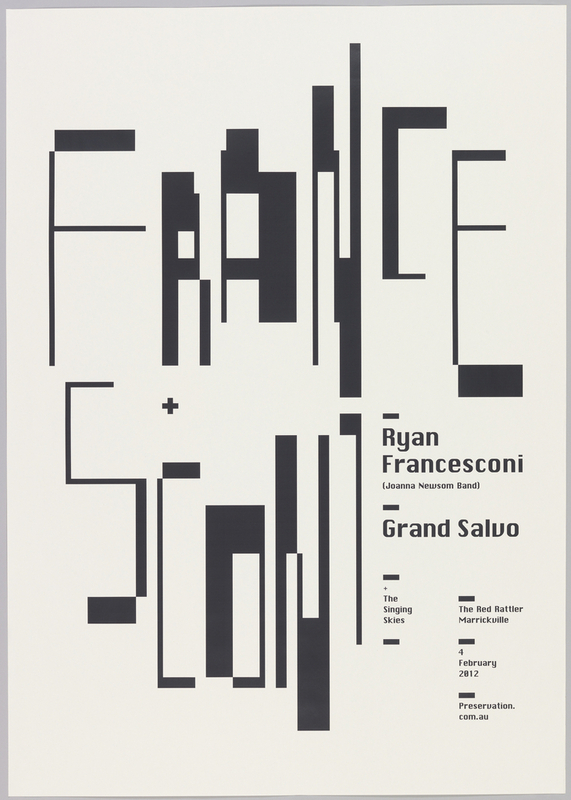 Mark Gowing designed this poster to promote a live concert featuring the avant-garde guitarist and composer Ryan Francesconi. 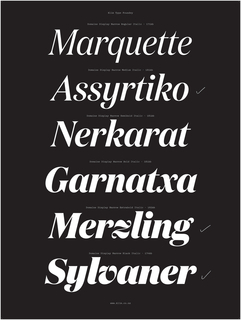 Gowing created a typeface that functioned as a modular structure that appears pieced together, a nod to Francesconi’s musical style that draws heavily on improvisation. The unpredictable, uneven rhythm of the compositions and performances are evoked through the type, which splits the musician’s last name into two parts joined by a plus sign. 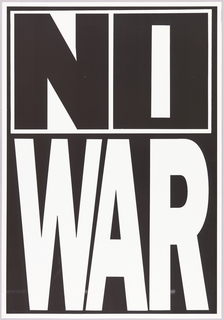 Gowing chose to execute the poster in stark black and white. 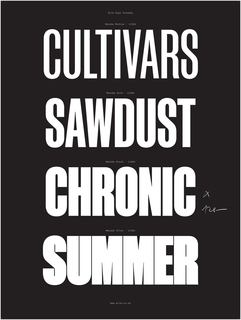 The absence of color was an aesthetic choice, suggesting a “grass-roots” feel, but also made the poster an affordable option of promoting an individual concert. This object was donated by Mark Gowing. 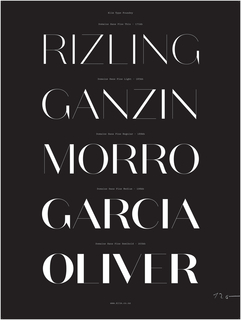 It is credited Gift of Mark Gowing.